Most recommended form of Calcium in a delicious chocolate wafer. Three wafers contain 100% of the recommended daily value of calcium as calcium citrate (the most widely recommended form of calcium by physicians), plus added vitamins, minerals, foods and herbs, in a delicious chewable wafer for those who have difficulty swallowing tablets. Vegetarian; free of gluten, milk/dairy and yeast. 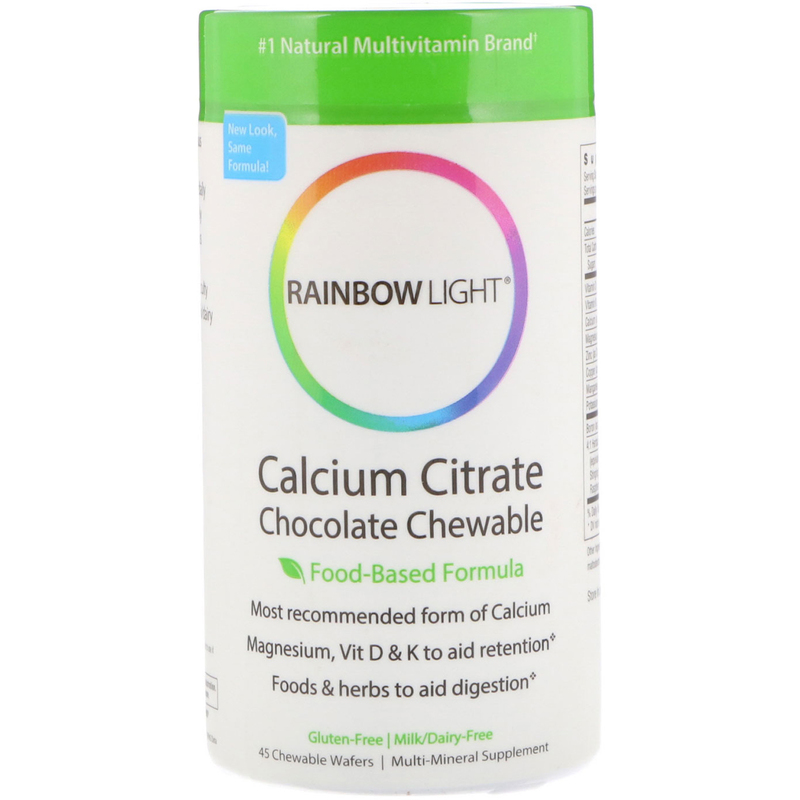 Supports strong bones and teeth: 1,000 mg calcium, 500mg of magnesium. 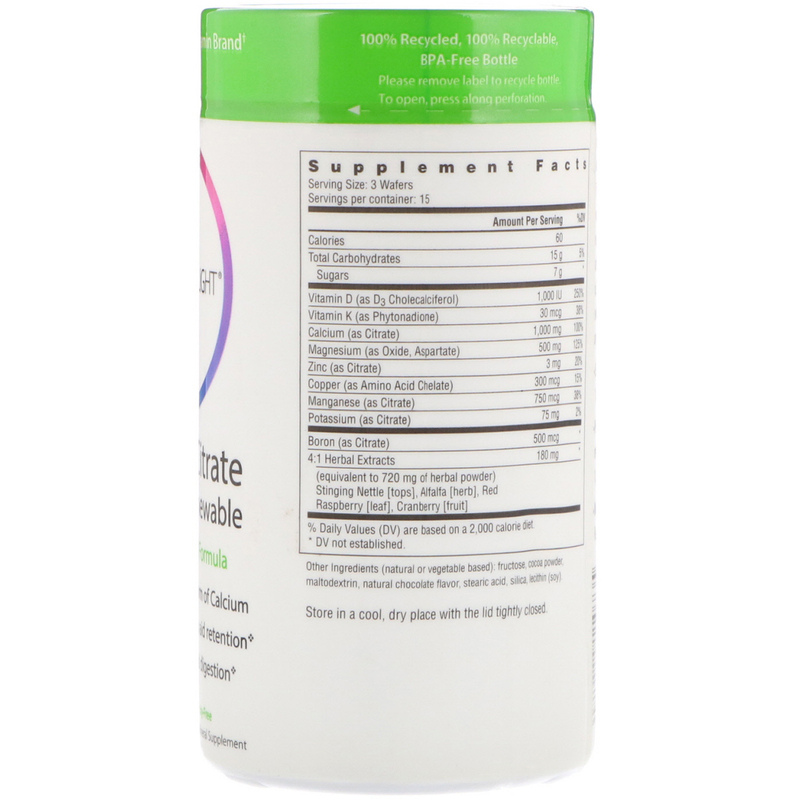 Promotes calcium absorption & mineral retention in bones: 1,000 IU vitamin D3, vitamin K, boron. Nourishes & aids digestion: Red raspberry & cranberry, herbs, minerals. (Natural or vegetable based): fructose, cocoa powder, maltodextrin, natural chocolate flavor, stearic acid, silica, lecithin (soy). Vegetarian. Free of gluten, wheat, milk/dairy, eggs, fish, shellfish, yeast, artificial additives. % Daily Values (DV) are based on a 2,000 calorie diet.